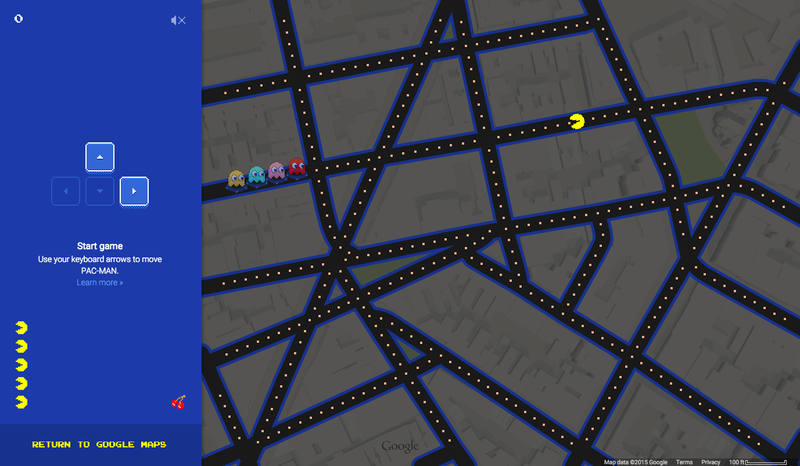 Drop those TPS reports, flip the “Out to Lunch, be back in NEVER Bwahaha” sign, and prepare to gently rockabye baby a few dozen brain cells on out to pasture: Pac-Man has come to Christopher Street. And the Castro. And OH MY GOD LOOK OUT BEHIND YOU, he’s on your street! Consider The Stonewall Inn’s address level one in this brave new world where blinking ghosts cruise the mean streets of Chelsea and Hell’s Kitchen hungry – so hungry – for men. Well, Man. Type in your own address and click the little Pac-Man icon at the bottom of the screen to advance to level two. Adios, rest of the day. Hell-oooo unemployment.